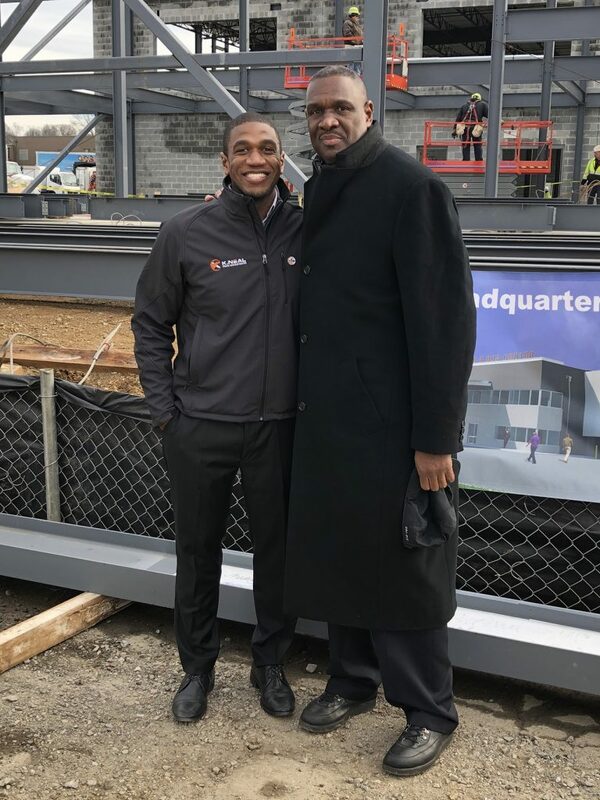 The father-son duo of Korey and Stephen Neal stand in front of construction on their new facility in Maryland. The Washington Business Journal selected K. Neal Truck and Bus Center based in Maryland as its 2019 Family-Owned Business Award Honoree. The honor celebrates the dealership’s excellence, ethics and innovation, the latter seen via construction on a new headquarters. Calling family businesses an important part of the local economy, the Washington Business Journal will spotlight K. Neal and other winners this spring. Honorees will also be recognized at an event on Feb. 28. The local economy is benefiting from the dealer’s new headquarters in Prince George County, Maryland, that is a welcome upgrade for the distributor of IC Bus and Collins Bus models. The current facility has not been updated for almost 60 years, so the new building will not only improve customer satisfaction, but employee satisfaction and happiness as well. The building will feature more space, expanding on K. Neal’s parts department. The new dealership will also have a technology command center that will be used to monitor some of their customers’ fleets, to help increase their up-time. Korey Neal, president of the dealer, said the grand opening will take place sometime between August and September. Meanwhile, Neal said he is humbled by the award, especially since he has watched the business grow since he was 15. Stephen Neal, Korey’s father, retired as an executive with Giant Foods, LLC. and acquired the business formerly known as J. Price International Truck in early 2006 as a way to create a legacy for his family. When Stephen passed the business down to his son last year, his dream came to reality. 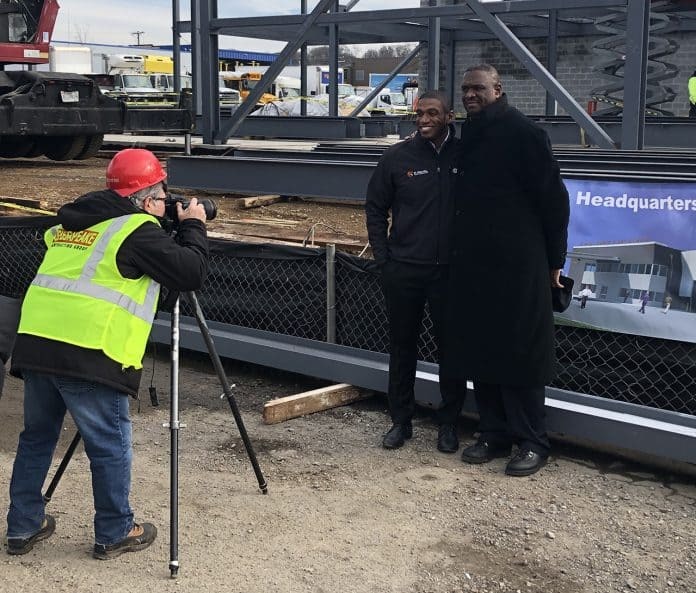 From left: Korey and Stephen Neal pose in front of construction on a new K. Neal Truck and Bus Center headquarters in Maryland. Korey Neal added that this award wouldn’t be possible without his customers and associates. K. Neal also provides 24-hour mobile service for its customers and operates four locations across the state. “Typically, we try to make sure that anything that has to do with the bus is taken care of, so that drivers, fleet managers and school superintendents can focus on their job—making sure kids get to schools safely,” Neal said. He added that the company’s core values are taking care of the customer, taking care of the associates and investing back into the business. He also said that he takes pride in the success of the company, and giving its customers a more direct access to its communication, parts and services. Neal added that his family’s company gives customers a different experience than larger corporations. “In an industry like this, relationships play such a huge role. We are so thankful for our customers, we are happy to serve our customers and give them a reliable product that helps get [people] back and forth to home safely. That’s our passion and our mission,” Neal said. He pointed out that K. Neal has just under 50 percent of IC Bus’ market share in Maryland.